As we have seen previously, the posture of a church age believer is "to wait for His Son from heaven" (1 Thess. 1:10). Thus there cannot be the possibility of the fulfillment of Old Testament predictions during the current church age. These prophecies cannot begin to take place until after the rapture of the church, since we are told to be "looking for the blessed hope [the rapture] and the appearing of the glory of our great God and Savior, Christ Jesus" (Titus 2:13). This means that if God has planned other events to take place before the rapture, we would be looking for those events rather than Christ Himself. This leads to questions about how prophecy relates to the beginning and ending of the church age. 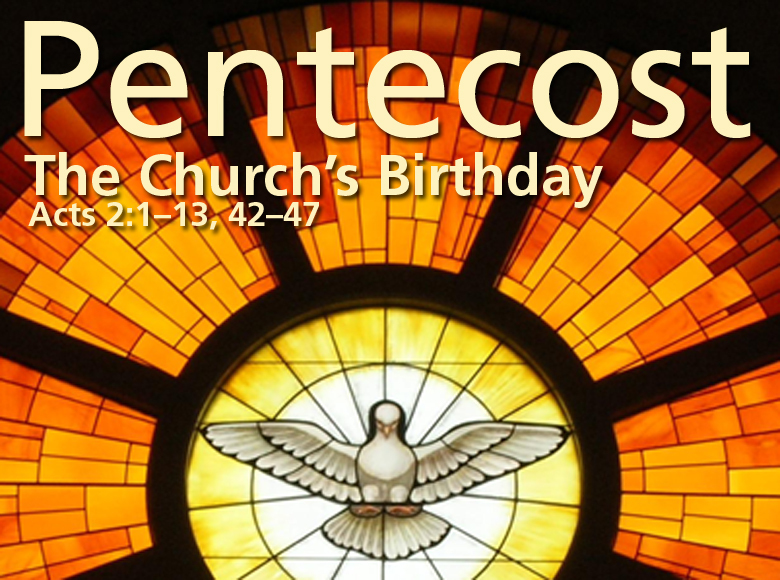 The church age began on the Day of Pentecost as noted in Acts 2. As can be discerned by reading the Book of Acts, the Apostles had little understanding about what our Lord had begun with the church. Understanding of God's purpose for the church would await the revelation of the mysteries as revealed through the Apostle Paul (Eph. 3:1-13). The book of Acts is a record of God's founding of the church and the transition from Israel to the church, as the Lord's instrument through which He works. Dr. J. Dwight Pentecost says, "While the transition period positionally began on the day of Pentecost,...The transition period would continue until the destruction of the temple in Jerusalem in a.d. 70, after which it was impossible to carry on the old traditions." With the transition from Israel to the church, what is the status of the prophecies concerning the destruction of the Temple in Jerusalem? Even though the church was indeed founded in Acts 2, there are other items that needed to occur in the transition from God's use of Israel as the instrument through which He works to the church. Thus, during the transition period, a few unfulfilled prophecies relating to Israel would unfold. The main prophetic event would be the destruction of Jerusalem and the temple as prophesied in the Old Testament (Lev. 26:27-39, 44-45; Deut. 28:64-68), but mainly by Jesus Himself (Matt. 23:29-39; 24:1-2; Mark 13:1-2; Luke 11:49-51; 13:34-35; 19:41-44; 21:5-6). Even though it is fulfilled in the church age in a.d. 70, the prophecies do not relate to God's future plans for Israel, but instead to their diaspora, which will coincide with the current church age. Therefore, the future hope for the church is the rapture, even from the earliest times of this era. It appears to me as we near the end of the present church age, which will give rise to the seven-year tribulation, there will be a time of preparation or stage setting that God will use to prepare for post rapture events. In my opinion we are living during this time. Since the rapture is the next prophesied event for which the church is waiting, there cannot be actual prophetic fulfillment or it would destroy immanency. Such stage setting does produce signs of the times, but it is not the fulfillment of prophecy. If such a model is presumed to be correct then what about the modern state of Israel? Is not Israel a fulfillment of Bible prophecy? I would argue that prophecies relating to the reestablishment of the modern state of Israel are in the process of being fulfilled. In other words, the Jewish return to the land of Israel and the founding of a modern state are really further stage setting that puts the Jewish nation back into the land in a position so that the prophecies can begin to be completed once the rapture takes place. However, they are not being fulfilled since the prophetic details related to Israel's restoration are not taking place today. The nation is poised for these prophetic details to begin to unfold, but they are not yet occurring. When we look at passages that speak to the first regathering of the Jews to their land before the tribulation, we see that the regathering is related to events that will take place during the 70th week of Daniel. Ezekiel 20:33-44 and 22:17-22 both speak of Israel being restored to her land in order to go through the judgment of the tribulation for the purpose of purging out the non-elect within Israel. Thus, the regathering has to occur before the wrath of the tribulation commences in order for these prophecies to unfold. So it makes sense when we see in our own day that Israel is being regathered in unbelief by God Himself in preparation for the prophecies of the tribulation to be fulfilled at a future time. Such a view means that the prescribed focus of the New Testament upon Christ and His any-moment return is preserved, but also, we are able to see clear indications that the world is being prepared for the rise of antichrist, a one-world government, fulfillment of all the prophecies relating to Israel and her surrounding nations, the invasion of Gog and her allies of Israel, and much more. If prophetic events, such as wars, famines, earthquakes, etc. are signs of the end of the church age, then no matter what advocates say, the logic of such a position is that the signs of the end of this age must take place before the rapture can occur. Yet, as noted previously, the emphasis for the church is to wait for Christ to rescue His Bride at any time. "But the Spirit explicitly says that in the later times some will fall away from the faith, paying attention to deceitful spirits and doctrines of demons" (1 Tim. 4:1). "But realize this, that in the last days difficult times will come" (2 Tim. 3:1). There are a number of things to consider in light of this clear teaching from Scripture. "Beloved, while I was making every effort to write you about our common salvation, I felt the necessity to write to you appealing that you contend earnestly for the faith which was once for all delivered to the saints. For certain persons have crept in unnoticed, those who were long beforehand marked out for this condemnation, ungodly persons who turn the grace of our God into licentiousness and deny our only Master and Lord, Jesus Christ" (Jude 3-4). It appears that even as the New Testament was drawing to a close that the apostasy was already arriving. Thus, apostasy was already a major problem in the church, even in apostolic times. "it is the last hour; and just as you heard that antichrist is coming, even now many antichrists have arisen; from this we know that it is the last hour" (1 John 2:18). This appears to echo Jude that apostasy was already in the church. "But evil men and impostors will proceed from bad to worse, deceiving and being deceived" (2 Tim. 3:13). Such a warning makes clear that apostasy was already advancing in the church of his time. Thus, the warning about end-times apostasy, since it began in the first century has always been with us and is not an obstacle to immanency. Fifth, the sign of apostasy is a qualitative one that no matters how bad it is today, it can always get worse tomorrow. In other words, a sign like Israel being back in the land or the rebuilding of the temple in Jerusalem is not a qualitative sign because either they are back in the land or the temple is rebuilt or it is not. True, more can keep coming back to the land but Israel is a nation since May 14, 1948. While apostasy has begun in the early church and we do not know exactly how extensive it will become right before the rapture. Thus, apostasy can always keep getting worse. Therefore, a qualitative sign is not exact as is the occurrence of a predicted event like the rebuilding of the temple. So apostasy is not an obstacle to immanency. Maranatha! J. Dwight Pentecost, New Wine: A Study of Transition in the Book of Acts (Grand Rapids: Kregel, 2010), p. 7. God's shift from Israel to the church is not permanent, but temporary. At the end of the church age, the Lord will return to dealing with Israel as His instrument during the 70th week of Daniel, known as the tribulation and will continue to work through Israel during the millennium. This is why the rapture is needed to end the current church age in order to complete the Lord's unfinished plan for Israel. David F. Wells, No Place for Truth: Or Whatever Happened to Evangelical Theology? (Grand Rapids: Eerdmans Publishing Company, 1993), p. 136.